Navarro Mills Lake is, located in central Texas about 20 miles west of Corsicana, Texas and about 35 miles east of Waco, Texas. It is managed by the US Army Corps of Engineers, Fort Worth District. The primary purpose of the lake was flood control and water supply, although recreation is now a major economic factor. Recreation has become a major component in the U.S. Army Corps of Engineers’ multiple use approach to managing our nations’ natural resources. Improving recreational opportunities and improving fish and wildlife habitat are important facets of the Corps’ management policies. Hunting, fishing, and water sports are available to the public. 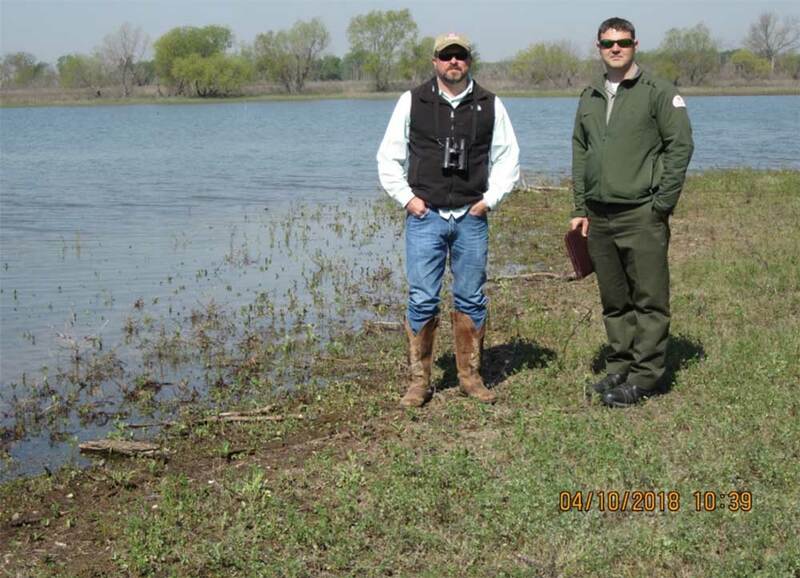 Friends of the Wild Whoopers (FOTWW) eagerly recommends that more endangered Whooping Crane “stopover habitats” be added to the management list needs at Navarro Mills Lake in Texas. 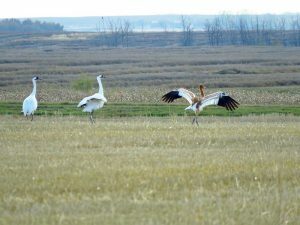 The recommendation was made by FOTWW after their recent evaluation of potential Whooping Crane habitats on lake properties. Figure 1. 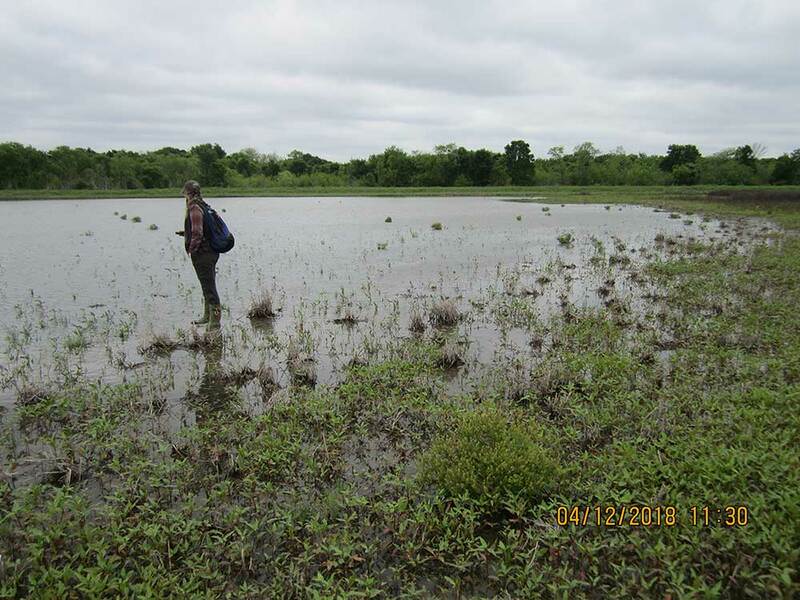 This shallow water pond in Wetland Unit 1 serves as an excellent “stopover habitat” for migrating Whooping Cranes and thousands of waterfowl, wading birds, shorebirds and other wildlife species that need wetlands. 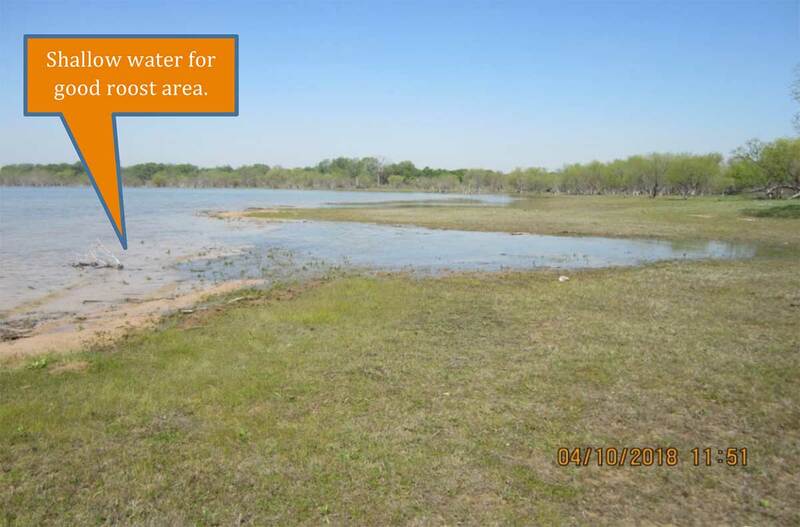 FOTWW asserts that there is ample space for more ponds like this in Wetland Units 1 and 2. Figure 2 . 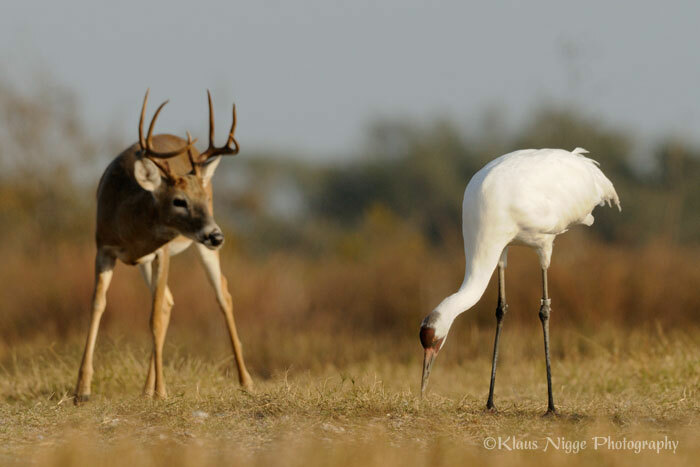 Many species, including white tailed deer share habitats with Whooping Cranes. 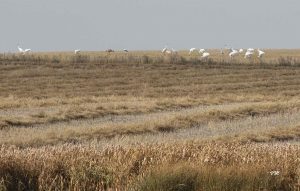 Mostly, during migration, Whooping Cranes “stopover” on lakes, natural wetlands and small ponds on private farms just to rest overnight. Like humans on a long trip they just need a small place to briefly stop, feed, rest and then continue their journey. 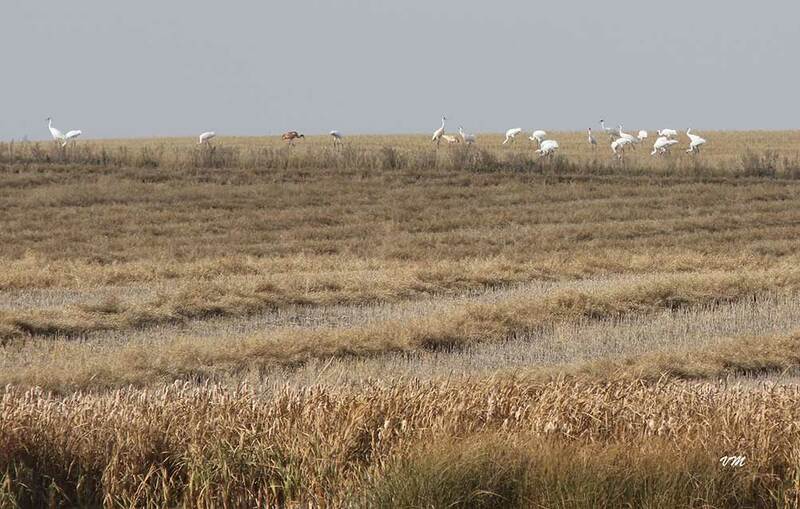 Importantly, Whoopers are compatible with other wildlife and briefly share their habitats. Ensuring that sufficient areas with the proper conditions as stopover sites are available is important for the survival of the species. Proactive projects implemented by conservation interest can help reduce potential mortality that occurs during migration. 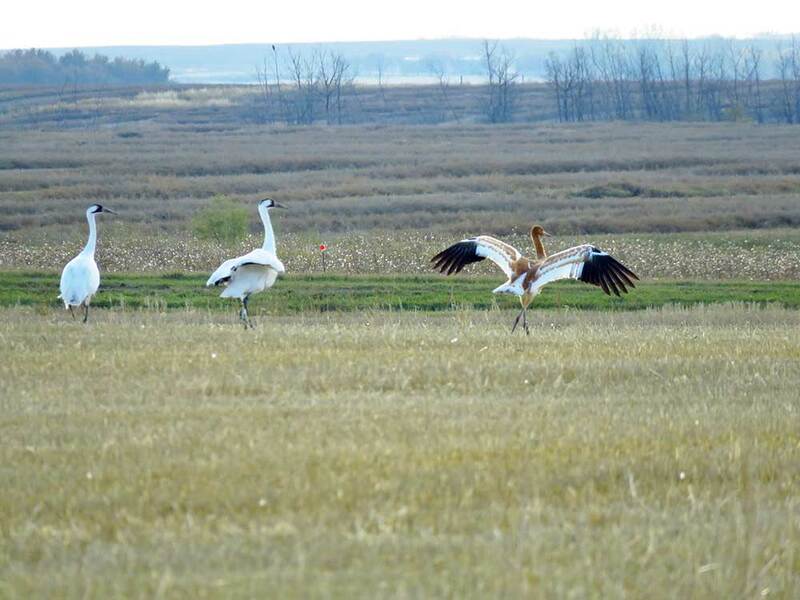 Whooping Cranes make two 2,500 mile migrations each year. They migrate to and from their winter habitats on the Texas coast to their nesting habitats in northern Canada. They must stop over 15 to 30 times during migration to rest and forage for food. 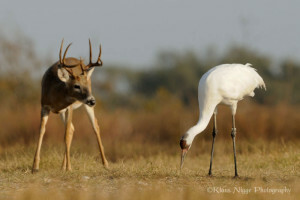 FOTWW believes that the wild Whooping Cranes in the Aransas/Wood Buffalo population are capable of taking care of themselves with two exceptions. They need (1) humans to protect their habitats and (2) to stop shooting them. 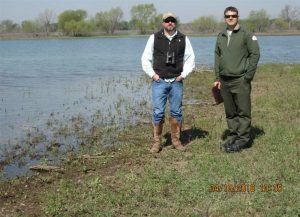 We firmly believe that the USACE can do much on their lakes to protect and manage many “stopover habitats” within the migration corridor.